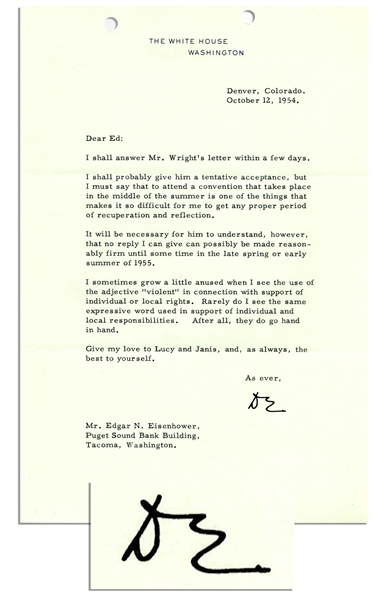 Dwight Eisenhower typed letter signed as President. 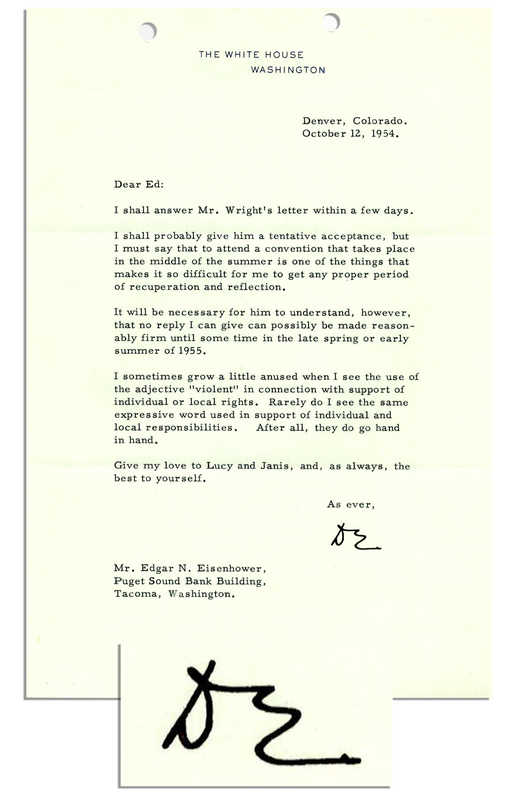 Dated 12 October 1954, Eisenhower writes on White House letterhead to his brother Edgar and signs ''DE'' in heavy black ink. Letter reads in part, ''...I must say that to attend a convention that takes place in the middle of the summer is one of the things that makes it so difficult for me to get any proper period of recuperation and reflection...I sometimes grow a little anused [sic] when I see the use of the adjective 'violent' in connection with support of individual or local rights. Rarely do I see the same expressive word used in support of individual and local responsibilities. After all, they do go hand in hand...'' Measures 7'' x 10.25''. File holes at top, else near fine.